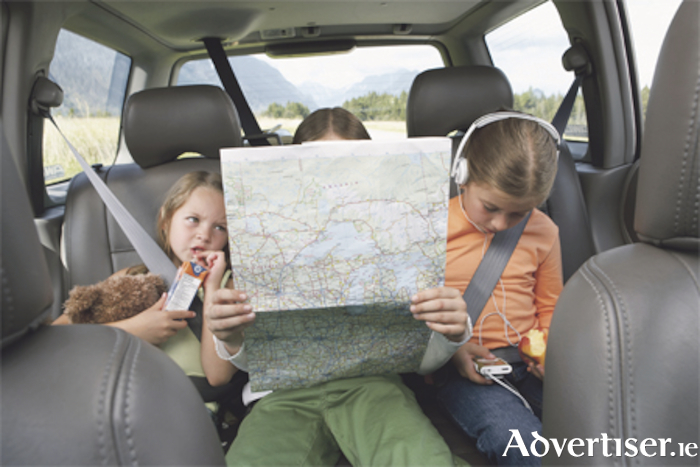 With the summer progressing swiftly, many families will strike out for day trips with the kids, some may venture even further afield. But let’s face it car journeys with the kids can be a bit of an endurance test. From the ‘are we nearly there yet?’, to the multiple toilet breaks and requests for food, you can be left feeling overwhelmed. It always pays to be pre roadtrip prepared. There is nothing worse than not having what you need if a child is unwell on the road. Pack a change of clothes, spare nappies, wipes, rubbish bags and a basic first aid kit with paracetamol, ibuprofen etc. It is also a good idea to have a portable potty even if your child is fully trained. Travel in comfort. For younger children ensure their car seats have the appropriate head supports especially for napping. A good trick for baby toys is to clip them onto the car seat so that when they are inevitably flung out during the journey they can easily be retrieved. Pack favourite toys and blankets in the car not the boot. For older children ensure you use seat belt adjusters to keep them strapped in safely and give them neck supports and cushions for longer journeys. Use a route planner or sat nav to give you an idea of how long the journey will be before you set off and plan regular stops. Children will get restless so stopping every two hours allows everyone to get out, stretch their legs and get some fresh air. It also helps to avoid driver fatigue. Entertainment is key for the journey. Playing some car games like eye-spy (with very flexible rules ), counting different coloured cars or seeing if you can get other passengers to wave back are all fun. Get older children to produce music play lists or if you all want to listen to different music, use headphones. And you could try having a car karaoke competition. If your children have a handheld console or tablet they could watch a favourite show or play games, just remember to charge it up before you leave. Enjoy your trips this summer and safe motoring!